We have collected Rosaceae genomics articles that have published in Horticulture Research, which we hope to be useful to you when you coordinate future projects utilizing the data for gene discovery and characterization. We hope it will inspire you to consider to publish your next most exciting discoveries in Hort. Res. Best wishes with your research. Collaborative programs and training are needed to connect the rapid advances in genetics and genomics with crop breeding programs. Cameron Peace of Washington State University has reviewed the integration of DNA-based information into breeding programs of rosaceous crops, such as apples, almonds, roses, and strawberries. While DNA-informed breeding has become conventional, Peace notes that a gap separates modern genomics discoveries from their practical application by breeders. To bridge this gap, he recommends adjustments by both researchers and breeders to establish a middle ground where discoveries are translated into tools. This requires breeders to be aware of the state of the art and how it can improve their programs, and scientists to be familiar with breeders' needs and to develop cost-effective, timely, and predictive tests. Systematic cooperation and communication will accelerate the development of improved new varieties. A new 'map' showing the relative position of genes in the genome of apple (Malus × domestica) provides a foundation for future breeding. Accurate knowledge of gene order is essential for modern genetic studies and plant breeding programmes. For apple, the existing information was inadequate. Eric van de Weg of Wageningen University and Research in The Netherlands and colleagues combined multiple approaches to produce the most informative, reliable genetic map for apple to date. Compared to existing maps, their 'iGLMap' is based on a wider range of trees, contains fewer gaps and incorporates the largest number of genes. It has already been used to refine the apple genome sequence and in studies of the genes underlying fruit characteristics. The research validates this method of making genetic maps, which could be applied to many other horticultural species. The rose genome has been mapped in greater detail than ever, and a new method to determine hybrid plants' parentage developed. A Dutch team, led by Rene Smulders of Wageningen University, planned to cross two roses, 'Morden Centennial' and 'Red New Dawn,' and map the resulting hybrid's genome. However, the crossed population displayed unexpected traits. Using genetic differences at DNA sites known as 'single nucleotide polymorphisms,' the team determined the heritage of this population. They found not only crosses of 'Morden Centennial' and 'Red New Dawn', but also 'Red New Dawn' with an unknown parent, and self-fertilized 'Red New Dawn'. This evidence for self-fertilization in roses presents both challenges and opportunities for breeders. The team generated three genetic maps, the most detailed for the self-fertilized plants, supporting further genomic analysis and cultivar development in roses. An exploration of multiple methods for analysing genomic data suggests a strategy for accelerating strawberry breeding. It is becoming widely accepted that 'genomic selection' can be more efficient than growing crops until mature to determine their commercially significant traits, particularly for perennial horticultural crops. However, there are multiple methods for predicting traits of interest from genetic data. Vance Whitaker and colleagues at the University of Florida tested several methods on a population of over 1,600 strawberry plants, using almost 17,500 genetic markers and six traits including total yield and fruit weight. Their results detail the accuracy of the various methods at predicting a particular plant's characteristics from its genome. They suggest this will help to significantly reduce the time needed for selection of complex traits in strawberries. Identifying the genes underlying the apple disorder 'soft scald' could lead to more storable varieties that can be eaten all year round. When apples are stored at low temperatures, fruits may suffer from sunken, darkened patches known as 'soft scald.' Sean Myles of Dalhousie University, Truro, Canada, and colleagues used modern genomic sequencing methods to map the genome of two hybrid apple populations. This enabled them to 'quantitative trait loci' (QTLs), with small effects on susceptibility to soft scald. Together, multiple QTLs can have a large, additive effect. They may provide starting points for 'marker assisted selection', in which genes are selected at the seedling stage before the trees show mature characteristics. The hope is to generate apples that can be cold stored for many months without deleterious effects. A newly identified deleterious effect in cross-bred pears could be prevented by identifying the genetic regions involved. Adverse interactions between genes from the two parents of a hybrid—akin to an autoimmune response—can cause dwarfing, tissue damage and death, a phenomenon known as hybrid necrosis. Although recognized in several plant species, it has not before been seen in pears. An international team led by David Chagné of the New Zealand Institute for Plant and Food Research identified two types of hybrid necrosis in pears. Using modern genetic screening techniques, they then located two interacting gene regions causing ‘Type 1’ necrosis, and one implicated in ‘Type 2’; a second region remains to be identified. Their discoveries may shed light on the evolutionary history of pears, and will help breeders select compatible parents when breeding new varieties. Researchers have characterized the genetic differences between European and Asian varieties of pears. Satish Kumar and colleagues at the New Zealand Institute for Plant and Food Research used a high-throughput sequencing technique to genotype more than 200 varieties in the Institute’s collection. Studies using a small number of genetic markers had already shown that European and Asian varieties are genetically distinct, but analysis of the entire pear genome revealed a larger gap than reported previously. Combining the genomic data with characterization of the fruit identified several genomic regions that are linked to desirable traits. However, genetic variation accounted for only a small fraction of the variation in fruit characteristics, which suggests a complex link between genotype and phenotype. These findings clarify the history of European and Asian pears and have implications for breeding efforts. A genetic study of wild strawberry highlights genes that could be used to make cultivated varieties flower and fruit earlier in the year. A longer fruiting season is the ‘holy grail’ of strawberry growers, and has been approached from two directions. Most studies have focused on producing ‘everbearing’ varieties, which flower and fruit all year. Timo Hytönen at University of Helsinki, Finland, and an international team of colleagues took a second approach: bringing forward the start of the flowering season. They used statistical analysis to identify genes that affect flowering time in wild, woodland strawberry, and found four that act additively to influence time of first flowering. The team proposes that variation in the same genes in cultivated strawberries could be manipulated to prolong their flowering season. Dwarfing rootstocks used to grow smaller apple trees have a gene expression profile consistent with reduced cellular activity. Toshi Foster and colleagues from the New Zealand Institute for Plant & Food Research compared gene expression levels between two dwarfing rootstocks (the part of the plant onto which buds or shoots are grafted) and one full-size rootstock. They found that, compared to the full-size rootstock, both the dwarfing rootstocks showed reduced expression of genes involved in metabolism, hormone signaling and cell wall synthesis, and an increased expression of genes involved in breaking down amino acids, lipids and other compounds involved in cellular metabolism. Genes involved in starch synthesis were more active though, suggesting that dwarfing rootstocks keep apple trees small because they are in a continuous state of low energy usage despite having large starch reserves. A genetic analysis has revealed the true pedigree of the popular ‘Honeycrisp’ variety of apple. James Luby from the University of Minnesota, USA, and colleagues wanted to determine the correct parentage of ‘Honeycrisp’. They created a genetic map based on 8,000 single DNA letters, and found that the originally recorded parentage, a cross between ‘Honeygold’ and ‘Macoun’, was wrong. They confirmed that one parent was ‘Keepsake’. The other parent seemed to be a cross between ‘Duchess of Oldenburg’ and ‘Golden Delicious’ from an unknown source. Using the genetic data, they identified related varieties of ‘Honeycrisp’. Breeding records from several of these close relatives pointed to the enigmatic parent: MN1627, a variety from the University of Minnesota now thought to be extinct. The new pedigree and genetic information for ‘Honeycrisp’ apples should help in future breeding programs. Researchers in China have identified a region in the pear genome which makes the skin red, a rare and desirable trait in the Chinese market. A team led by Yushan Qiao of Nanjing Agricultural University and Xiugen Li of the Chinese Academy of Agricultural Sciences selected red- and green-skinned offspring from a cross between two red-skinned pear varieties. They combined DNA from the varieties producing each color and used a whole-genome sequencing technique to identify a region of the genome linked with skin color. Their analysis suggests that skin color is controlled by a single gene within the region, which contains 81 candidate genes, including several genes regulating the synthesis of anthocyanin pigments and 10 genes of unknown function. These findings will be valuable in guiding efforts to breed red pears for the Asian market. A new visualization aid helps users picture gene activity at different times and in different tissues in the model organism, wild strawberry. Wild strawberry, Fragaria vesca, is fast becoming a genetic model for cultivated strawberries and a range of related species. However, the vast amount of genetic data available for wild strawberry is difficult and time-consuming to access. An international team led by Zhongchi Liu, of the University of Maryland, USA, adapted software known as ‘electronic Fluorescent Pictograph’ to show diagrams of the tissues in strawberry fruit and flowers colored according to the activity of any selected gene. 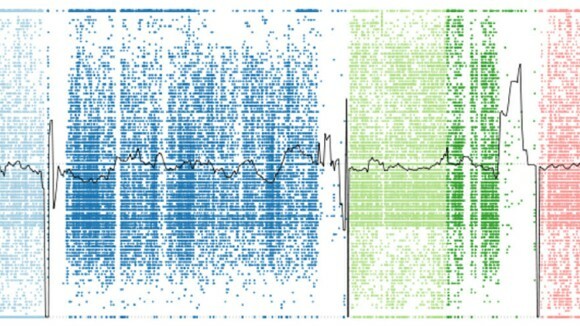 The publicly available software will help uncover new patterns of gene activity, and link the activities of regulatory genes. Ultimately, the resource may facilitate understanding of flower and fruit development to support better crop breeding. A new genetic approach improves fine-resolution mapping of strawberry genes, promoting perpetual flowering and high fruit quality. Many economically important traits in strawberries are controlled by 'quantitative trait loci' (QTLs), sections of DNA showing statistical correlations with variation in measurable traits such as size or sugar content. An international team led by Nahla Bassil at the USDA-ARS National Clonal Germplasm Repository in Oregon, USA, developed powerful new tools to identify variable DNA sites and map the position of QTLs. Numerous QTLs were recognized and located more precisely than before, including four for different aspects of fruit quality, and one with an important effect upon flowering time. The results will enable breeders to predict the flowering habit of strawberry plants using a simple DNA test, and will further the development of everbearing varieties of strawberry.